Men and women are different, there's no point in denying that. So get out there and bird like yourself. 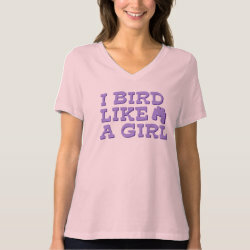 Bird Like A Girl. This bright text design is done in shades of purple. A silhouette pair of bins completes the design.